– Promote our talented rural writers, journalists and photographers. Some of them are experts in their area of writing but are ignored by urban media. Ag and rural journalists have chronicled our ups and down, pouring their hearts into our stories. Point out their writings, photography, creative work and talents out to urban media and create linkages. – Cultivate young urban writers and creative people who are willing to speak with and meet farmers of deep rural America. While it has seemed nearly impossible to get older food movement writers to return a call, younger and hungrier writers are looking for story ideas and information. 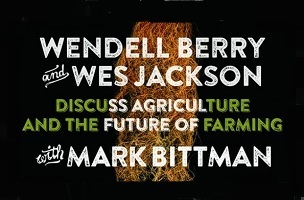 One of my favorites is Nathaneal Johnson of Grist, who has delved into GMO’s in his online series. Modern Farmer’s Sam Brasch was the first to cover the Blizzard Atlas in urban media while the New York Times dozed. There are many more worthy of recognition. Per Lewandrowski’s Twitter profile, she is also an assistant to a veterinarian and cheesemaker. Read her full essay here.